Figure 1: Spectacular soft-tissue fossil (MH 432; Urweltmuseum Hauff, Holzmaden, Germany). Cells, cellular organelles and original biomolecules have been discovered in preserved soft parts of an approximately 180-million-year-old ichthyosaur (literally ‘fish-lizard’). 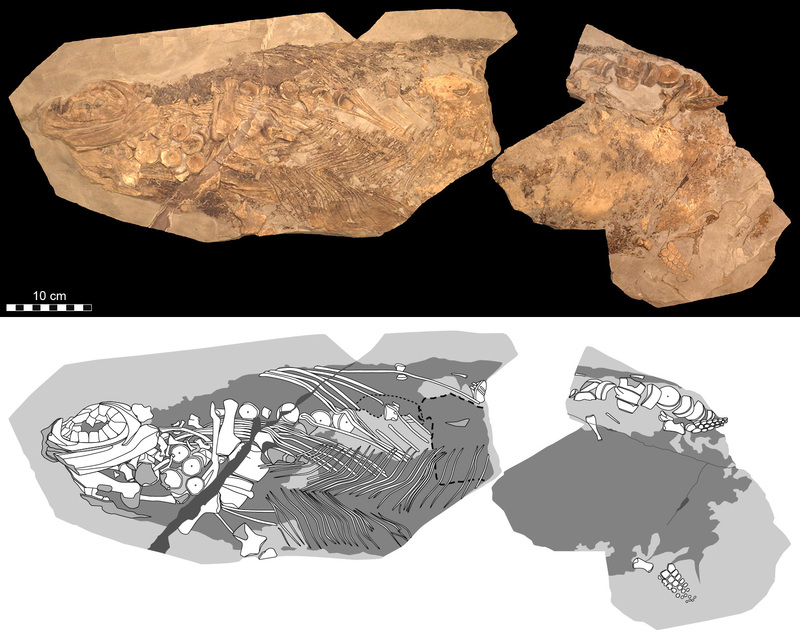 Photographic (top) and diagrammatic (bottom) representation of the 85-cm-long fossil (which corresponds to roughly half of the original length of the animal). Johan Lindgren, associate professor at Sweden’s Lund University and lead author of a paper describing the work, put together an international team to analyze an approximately 180-million-year-old Stenopterygius fossil from the Holzmaden quarry in Germany. Figure 2: One hundred and eighty-million-year-old pigment cells (melanophores). To the left, light micrograph of the branched melanophores. In the center, synchrotron-radiation X-ray tomographic microscopy (SRXTM) rendering of a melanophore with long dendritic processes. To the right, transmission electron microscopy (TEM) image of a melanophore that contains melanosome organelles. Figure 3: Comparison between artificially matured modern porpoise integument and fossil ichthyosaur blubber. To the left, cross-section through porpoise skin and blubber before decay experiments. In the center, side (top) and internal (bottom) views of heat- and pressure-treated porpoise integument (note severe reduction of the blubber layer). To the right, side (top) and internal (bottom) views of fossilized ichthyosaur skin and blubber. 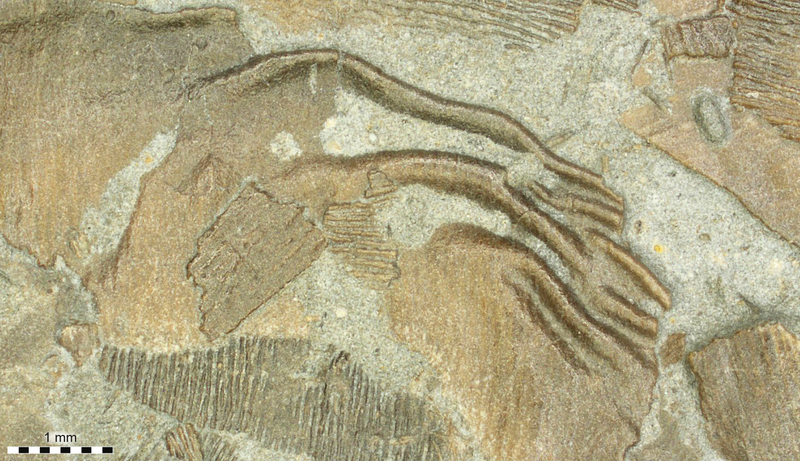 Figure 4: Fossilized skin with post mortem rippling.